I’m not exactly a “weeb.” My experiences with anime don’t go much farther than shows I watched in my childhood, like Beyblade and Dragon Ball Z. But I’ve decided to get back to my roots and get back into anime. When I discovered the anime, Puella Magi Madoka Magica, I often read that it was not only extremely well made but different than the typical magical girl show. I decided I’d give it a go. Before this, the only magical girl show I had partially watched was Mew Mew Power. Besides the obnoxiously bad dubbing, it was a decent show, but it didn’t push past the stereotypes that define the magical girl genre. Puella Magi Madoka Magic is not Mew Mew Power. Here is my review. I will try to spoil as little as possible about this groundbreaking magical girl anime. Animation: It’s beautifully colorful and cute! The characters are bright-eyed and move smoothly from school life to magical fights. The fight scenes are fast and crisp (but might pass by too quickly if you’re a shonen fan). The “witch” encounters are absolutely mind-blowing. You have to see it to understand that it looks like something out of an odd children’s book. Incredible stuff! Side note: Everyone has HUGE heads but I think that’s just an anime thing? Plot/Story: Amazingly done, one of the best I’ve seen in a show. It starts off like a slow and typical magical girl show, but then slowly reveals the weirdness that has made this show a massive hit. In 12 short episodes, you get to know a dynamic cast of characters and you’ll see your opinions on them shift as you learn their backgrounds and motives. The best part of the show is its startling and unpredictable plot twists. Everything you think is going to happen, doesn’t. But at the same time, the twists in the story are so well done and well thought out that it doesn’t seem completely outlandish. This anime turns the fantasy concept of magical girls and grounds it into reality, showing the consequences of taking on such a role. You can tell some real thought went into planning the show’s every move and even with the constraint of 12 episodes, the pacing is (mostly) great. Near the end, the magnitude of the plot became a bit overwhelming, but overall it’s a fun ride. Unfortunately, we don’t really see much of the city the girls live in outside of the school, a couple of houses, and some fairly generic environments. I’d say this is excusable since the show is really focused on unraveling the plot and the background of the girls. Characters: I felt like the main character, Madoka, started off with some Mary Sue-ish tendencies, but ended up becoming a mature and well rounded young girl. She’s shown to be a bit naive but as she discovers more about the world of magical girls, she matures quite a bit and becomes more confident as she makes bigger decisions. To be honest, her story was as interesting as the other girls, like Sayaka, Homura, and the cute cat, Kyubey! Overall this anime has some impressive, unique, and strong female characters motivated by their own goals and tragedies. Shipping: Yes, I am gonna do an overview of the shipping since that’s important to me. Light spoilers here! The shipping in this show was pretty light, which might be bad depending on your priorities in anime. There was also a love triangle but that wasn’t fleshed out too much, some hints of feelings happening between Sayaka and another girl, and some feelings between Madoka and a certain friend of hers that could be seen as romantic. But overall, shipping is subtle. Dub or sub? : I watched the sub and it sounded good, but all the voices were high pitched and girly so I sometimes had trouble distinguishing. I watched the trailer with the dub and it sounded very good (and this is a high profile show so I’d expect there to be some decent voice actors). I think you can’t go wrong with either, but if I have to pick, go for the dub. Extra: THE MUSIC!!!! It was really good! Sure, the theme song was a little generic (although if you read the translated lyrics after watching the whole show it makes A LOT of sense), the background music throughout is fitting. If a scene is intense, the music is intense, and if a scene is sad, the music is so very sad. The mix of violins and rock makes a beautiful combination. Overall: I’d rate this show a 9.5 out of 10. It’s definitely different than the types of shows I’ve watched so far but is tightly done in the short 12 episodes it has, and leaves a fairly satisfying, non-cliffhanger ending. It subverts every expectation you’d have about a magical girl anime, and perhaps anime in general, and I don’t say that lightly. This is an anime that took a lot of risks and worked them perfectly together to make a masterpiece that people will discuss for years to come. If you decide to watch this show, I recommend watching the movie sequel, Rebellion, right after. Erika is a senior and is a graphic design specialist and staff writer for the Acronym. She lives in 1503 C-Wing and enjoys sleeping, reading, and eating in her spare time. 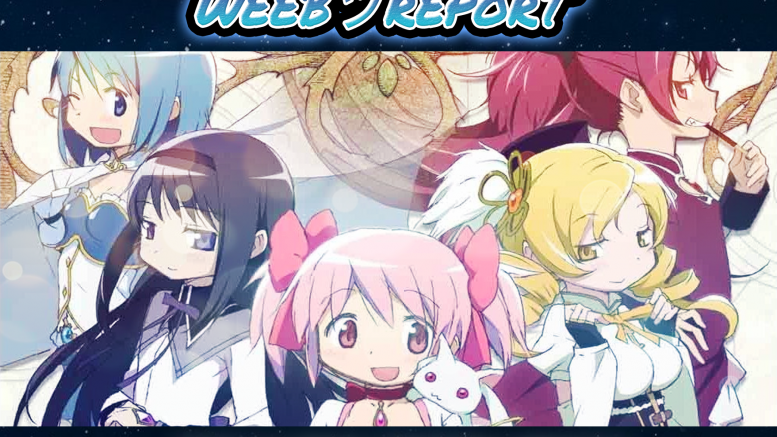 Be the first to comment on "Weeb Report: Puella Magi Madoka Magica"